As the Merlot revival continues, each vintage of Bridget Raymond’s annual contribution to the NakedWines.com portfolio grows in popularity. I reviewed the 2014 vintage of Intertwine, and it is one of my most-read blog posts. So it was with eager anticipation that I opened the newly released 2015 vintage. The Intertwine Merlot Napa Valley 2015 is made with fruit from the Oakville and Carneros AVAs. Both are among the finest, and best known regions in the Napa Valley. Whereas the 2014 showed its youth, and required ample aeration to be enjoyed young, the 2015 is smooth and delicious out of the bottle, although a bit of air allows it to open up, with more flavors emerging, and becoming even more enjoyable. As with most young wines, it will continue to improve with several months or years in the cellar. This could be the best vintage of Intertwine yet! The color is deep purple. On pouring through a Vinturi, this is a blackberry delight! Plenty of juicy fruit on the nose with a hint of oak. Through sheer willpower, I let it breathe for about 30 minutes before allowing the elixir to touch my lips. Patience, rewarded. As the wine opens up, the nose develops some tobacco, black cherry, and cedar notes. When finally tasted, wow! Bold blackberry, Marionberry pie, and black cherry fill the mouth. Full, round, rich mouthfeel coats the tongue. The tannins are firm, but will soften with bottle aging, and the acidity is fresh and lively. The finish is long, with cherry, berry, cedar, smoke, and spice. I even got a bit of dark chocolate at the very end. Food worthy? Oh yes! Intertwine 2015 took my roasted pork loin with poached pears to an entirely new level! Stellar! 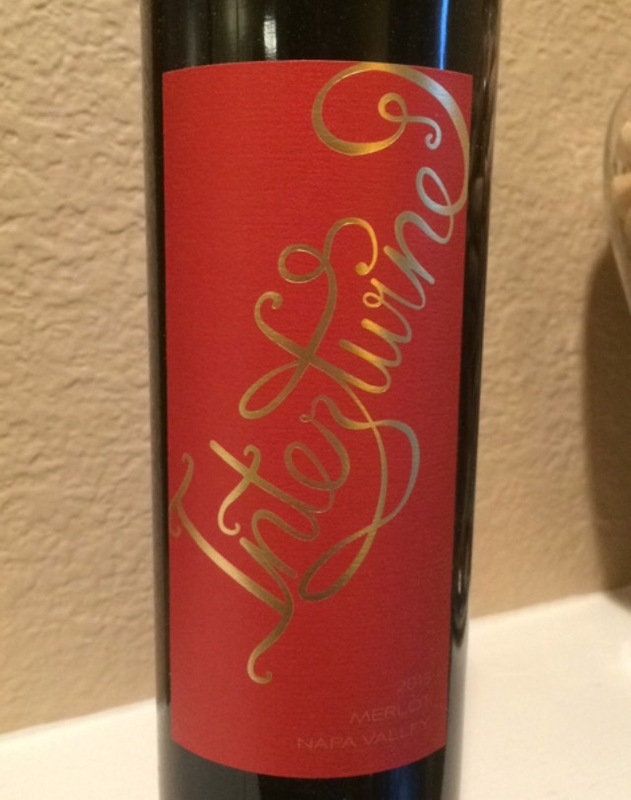 Intertwine Merlot Napa Valley 2015 is available exclusively from NakedWines.com. If this sounds like your kind of wine, you can follow this link to become an Angel, and receive a voucher worth $100 off your first-time order of $160 or more. If you try it, please let me know what you think!